Hey everyone, happy holidays! Just like we did with our favorite movies of 2016 (you can read that article here), we look back at some of the best things to grace our television screens (or computer monitors). 2016 truly was a wonderful year for t.v. Let’s jump right in! 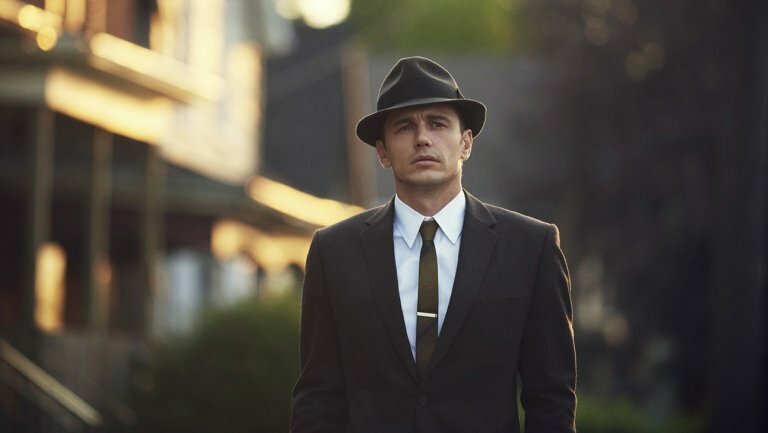 11.22.63 – A Hulu original series based off of a Stephen King Book where a man has to go back in time and stop the assassination of JFK, 11.22.63 was great. Suspenseful, creepy, action packed and well-acted, I consider it to be one of James Francos greatest works. Angie Tribeca Seasons 1 and 2 – In an unprecedented move (probably to rival services like Netflix) TBS aired the entire first season of Angie Tribeca in a continuous 24 hour marathon. What’s even crazier? They aired the second season only 2 months later. A police procedural starring Rashida Jones, it’s a comedy in line with greats like Airplane, Naked Gun and Hot Shots. So if you like those, check it out. This is Us – I don’t really do the primetime network drama. It’s not that I don’t think CBS/NBC/FOX can do them well, it’s just … they’re usually not great. After watching the pilot of NBC’s This is Us, I knew it was something special. It has a very Parenthood vibe to it. Great characters and fun/emotional story lines, I’m excited to see if this one can keep up steam. Preacher – Based off a comic that I haven’t read, I decided to give Preacher a shot. From what i’ve heard from fans of the book, the first season was a very slow burn. I like Dominic Cooper as Jesse Custer and Jackie Earle Haley as the bad guy. Some episodes were stronger than others, but I look forward to hitting the road with my favorite Preacher, assassin and Irish Vampire when the show returns for season 2. 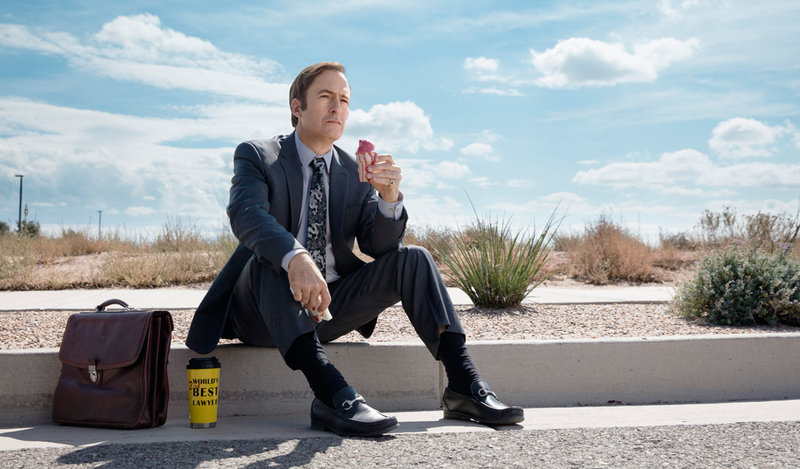 Better Call Saul Season 2 – Look, Vince Gilligan knows how to make great television. The creator of one of the best television shows of all time (Breaking Bad) continues to knock it out of the park with this spin-off. Even more impressive are the performances. There’s a reason Bob Odenkirk is in awards consideration. He’s great, along with the rest of the cast. With a familiar face set to return in season 3, I’m incredibly excited for this one to come back. Black Mirror Season 3 – Really glad that Netflix picked this show up. I was a fan of it when it was on the BBC and I was one of “those” people that preached the gospel and told people to check it out. While I think some of the episodes in season 3 are better than others, I enjoyed my time with all six of them. Also, without a doubt “San Junipero” is one of my favorite episodes of television that I have ever watched in my life. It made jump around my room, fist-pumping while tears rolled down my face. Check it out! Orange is new Black Season 4 – Not really too much to say about this. I thought season 3 of OITHNB kind of stunk, so it was good to get reinvested into the universe. This season has some real emotional heft to it as well. I wonder how much more netflix can tap out of Piper Chapman’s story. Dragon Ball Super – My mom had soap operas, others had wrestling, I had Dragon Ball. One of my favorite series’ of all time, it’s great to see series creator, Akira Toriyama write and oversee a new set of adventures for Goku and the gang. Best things about Super. It retcons Dragon Ball GT which is good, because that sucked. Also, unliked DBZ, it never takes itself too seriously. I think they finally figured out that Goku is a protagonist that … isn’t quite all there in the head. It also has some absolutely absurd moments in it which I have enjoyed to this point. Currently, it’s only airing in Japan (so track down those SUBS), but it will make its way West sometime soon. Star Wars Rebels Season 3 – Another show that keeps getting better with age. Star Wars: Rebels fills in the gaps between episodes three and four. It was awesome to see a few of the characters make a cameo in the recent Rogue One: A Star Wars Story. 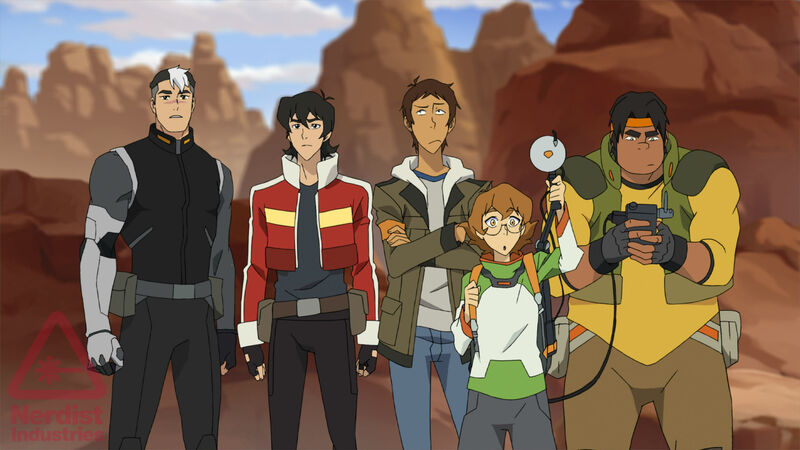 At the time of writing, Rebels is on its mid-season break. It was recently announced the Forrest Whitaker would be joining the cast! I’ll report back at the end of the season to see if this is the Star Wars show that you’re looking for. Lady Dynamite – Stand-up comedian/actress Maria Bamford moves back to LA after spending six months away in recovery for bipolar disorder and attempts to build up her life from scratch with the help of her agent and friends. This is a Mitch Hurwitz show, the same guy who did Arrested Development. If you like that kind of humor, check it out. Westworld – I’ll tell ya. There hasn’t been a show this pretty in a long time. From the incredible sets, to the breathtaking costumes, Westworld and HBO threw a lot of money into this things. There’s also a ton of great performances in here, especially by Anthony Hopkins, Ed Harris and Thandie Newton. Unfortunately, I thought there were some obvious plot developments and the second half of the season felt a bit …wonky (no wonder, as that half was scrapped by HBO originally and re-shot). But, it’s a fun time. Luke Cage – Netflix and Marvel have made a great name for themselves with their original series’. I think behind Daredevil season one, Luke Cage might be my favorite. Great acting, great fight scenes and arguably the best soundtrack of the year, Luke Cage is a great ride. like most Marvel Netflix shows, I think it loses a bit of steam in the back half of the season. I really do think these things need to be 10 episodes, not 13. But, that doesn’t detract from a great season of tv. My Favorite Shows of 2016. It’s like Game of Thrones, in space. Don’t underestimate the power of “good” Sci Fi in 2016 (mainly because there’s so little of it). A show that literally spans the entire universe, The Expanse is a complex, mature, riveting experience. Also, Thomas Jane gives an incredible performance. Excited for season 2 in 2017. Donald Glover (aka Childish Gambino) brings a show that is a love letter to the city of Atlanta while also showing just how messed up it can be. With incredible characters (Paper Boi, Earn, Darius, Van), whitty/relevant writing, and an amazing soundtrack, you owe it to yourself to check out Atlanta. Ryan Murphy and co. are hit or miss when it comes to their shows. Glee, Nip/Tuck, and American Horror Story are all polarizing shows that have their audiences. One thing is certain though, their material begins to weaken the longer it goes on. That’s not the case here. A new anthology series, the first season of American Crime Story focused on one of the most wild cases in American History. Everything about this just worked. The performances are some of the best in a long time (they will garner awards for Sarah Paulson, Courtney B Vance, and Sterling K. Vance). Sometimes it’s not even close. Horace and Pete is not only the best show of 2016, but behind The Wire, it might be one of the best things I have ever watched. Taking a chance in 2016 is incredibly risky and when i first got the email from Louis C.K. telling me that he put the first episode of this thing online, I was flabbergasted. Wait, an online only series starring Louis C.K., Steve Buscemi, Alan Alda, Jessica Lange, Edie Falco and Laurie Metcalf? And he’s going to charge how much? I’ve never seen a creator be so open and transparent as C.K was throughout the entire season of Horace and Pete. More than anything, Horace and Pete is structured like a play. It takes some incredible risks with pacing, subject material, etc and it’s brilliantly executed. The premise is simple, Horace and Pete are co-owners of an Irish bar, (subtly named, Horace and Pete’s). It’s about their day-to-day in that bar, the people they meet, the stories they tell, and basically just trying to keep everything together. Louis C.K. put his own money into the show and was facing bankruptcy because of the losses he took to make it. Luckily, the series is now available on HULU so you can watch it for yourselves.